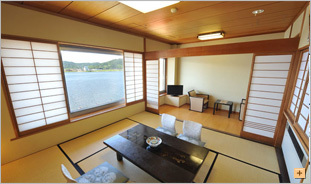 Kojokaku corner guest rooms－We are proud of this room. 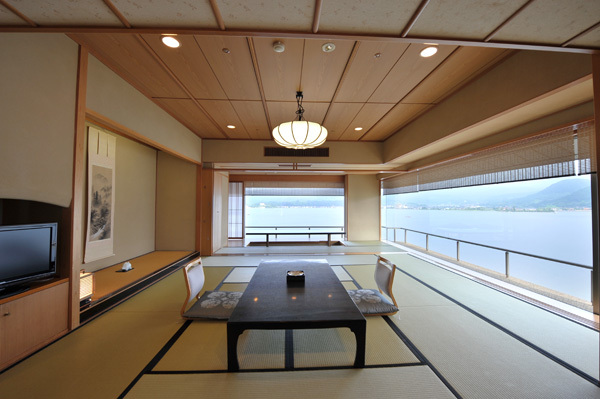 This room is, which is similarly located as the special rooms, 180℃surrounded by the glass and offers spectacular views or sunrise of Lake Togo. 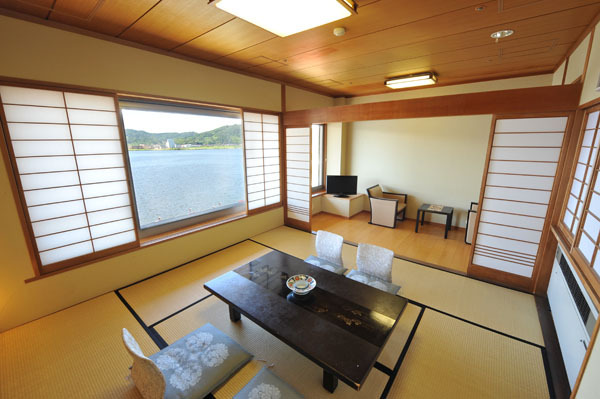 These rooms are in the Kojokaku, which is located on the East end of the hotel where you can watch the rising sun from all of the guest rooms. 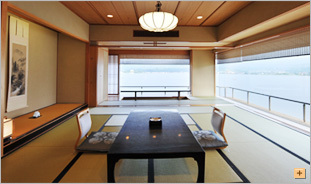 These rooms are available for eating in the rooms and very high-end rooms. 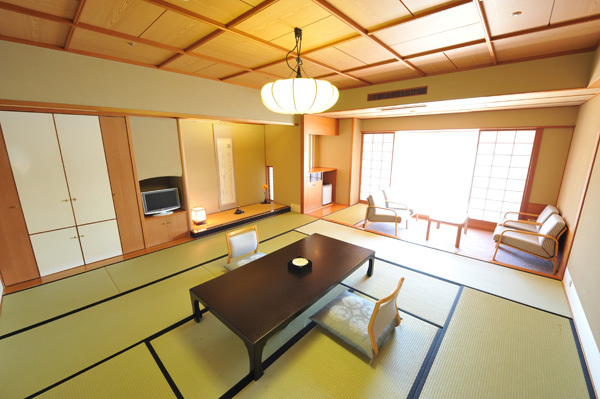 Can accommodate 6 guests combined Japanese and Western-style rooms. 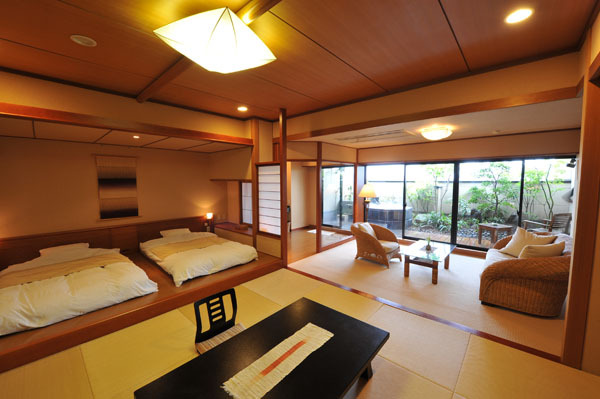 Each room has an open-air bath with 100% constantly filtered hot spring water and bathtubs that are large enough to be used comfortably by two. Enjoy the special time with you precious one. 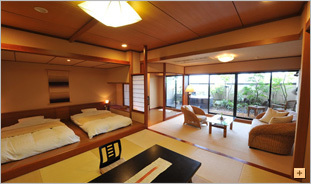 These rooms are special rooms with a private open-air bath and located at the corner of Kojokaku. 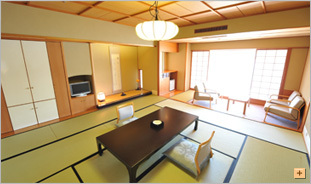 (up to ten people, Tenshu the room 801, Kogaku the room 701) You can relax in these large special rooms. 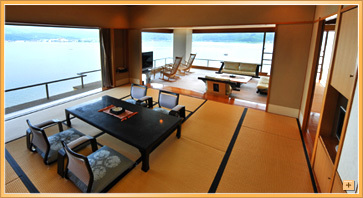 You can make a reservation by JAPANiCAN. *We do not accept multiple/revolving payments. 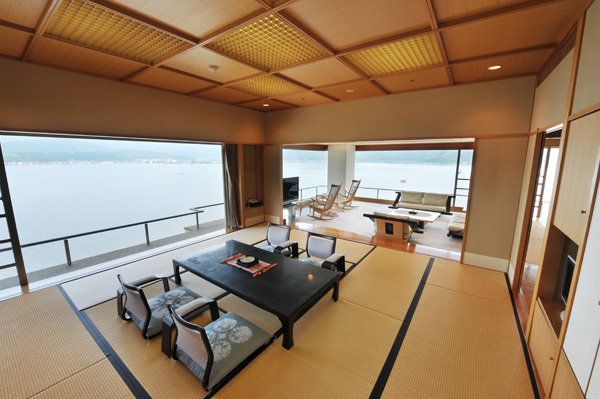 Our lake-top hot spring baths are Bokoro's pride. 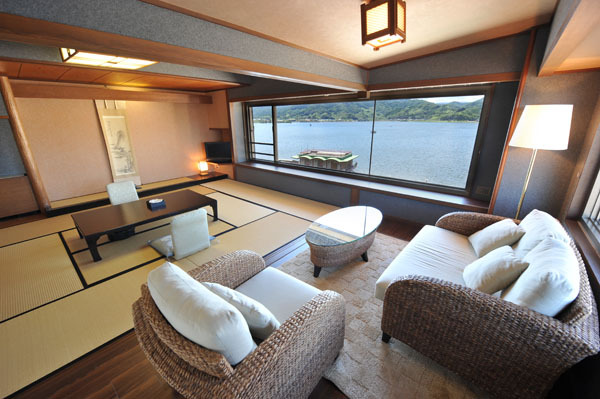 Enjoy a relaxing visit to "Yumeguri Kodo," bathing facilities that are located atop the lake. Copyright © 2010 Bokoro.com. All Rights Reserved.